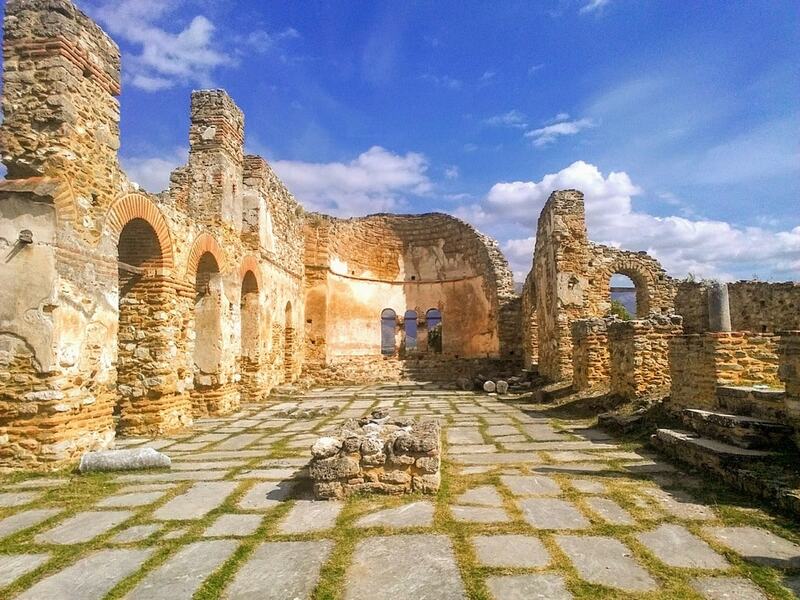 The Prespa Lakes region, also known as Prespes, is probably one of Greece’s best-kept secrets. Tucked between the borders of Albania, FYROM and the Greek region of Macedonia, the region and its two lakes, Small (or Mikri) and Big (Megali) Prespa lakes are actually part of a national park shared by the three countries. While Megali Prespa Lake is mostly located in Albania, Mikri Prespa Lake is split between Greece and Albania. But besides the luxuriant local fauna and flora, the region is dotted with small villages where serenity and tranquility reign. 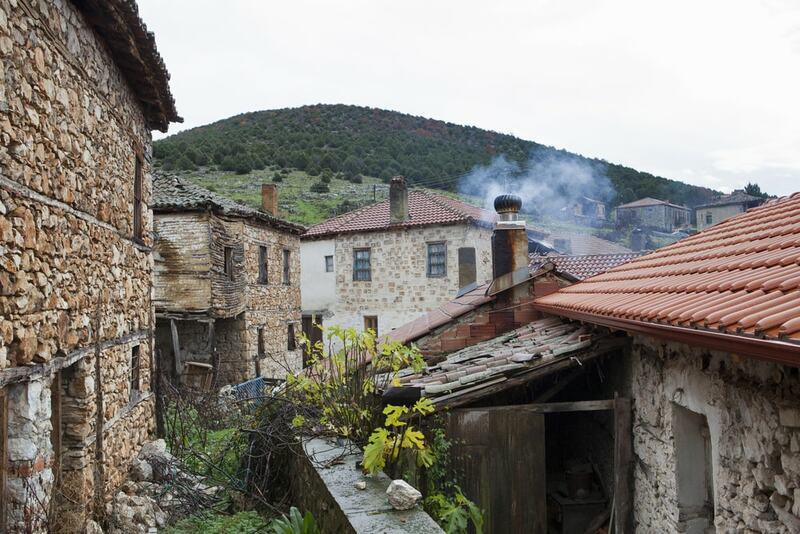 Here is what you should see and do in Prespes. 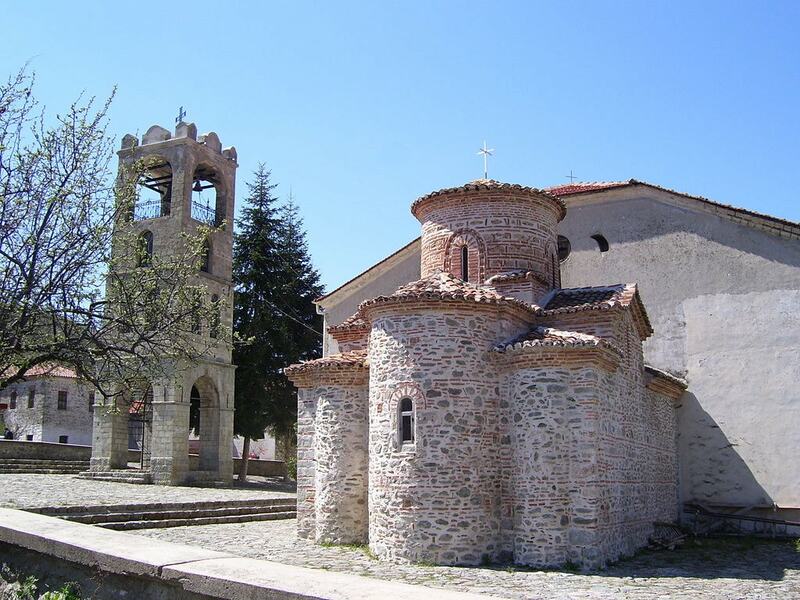 The small village of Mikrolimni is located right on the shores of Mikri Prespa Lake. As such, it offers breathtaking views over the lake and is surrounded by hiking trails allowing you to explore the surrounding area. One thing you must do for sure is to have a meal literally on top of the water at the village’s taverna, Ta Psaradika Tou Xasou. You will be welcomed by the lovely Artemis, whose cooking would make Gordon Ramsay faint. She cooks traditional recipes with love, using homegrown produce and serves the food with a smile. The little island of Agios Achillios is located in the Small Prespa Lake. This tiny island has a one-street village, a cafeteria, as well as the ruins of the Byzantine basilica of Agios Achillios, a stunning example of early Christian architectural style, as well as other small churches dotting the islet. Cross the walkway and stroll around the island, where you will get acquainted with goats and dwarf cattle, an endangered species, roaming free. On the shore of Megali Prespa Lake, the fishing village of Psarades awaits. Peaceful and serene, this charming place has a few tavernas as well as local souvenir shops where you can buy local products. But the highlight is certainly to take a boat trip to see the post-Byzantine frescos painted on the rock and the abandoned hermitages built on the cliffs near the lake. One of the gems of the region is the village of Agios Germanos sitting at an altitude of 1,100 meters, which boasts traditional stone houses, an 11th-century church with stunning frescos, a traditional watermill, a quaint square surrounded by cafés and tavernas, as well as an information center. Hike your way through the many trails off the village leading to the top of mount Varnoundas to enjoy views over the lakes. Prespa is home to more than 260 bird species, many of which are endangered or rare species. You will find birdwatching towers located over the whole region and on the shores and might catch a glimpse of pelicans, pygmy cormorants, herons, geese or wild ducks. If you don’t know where to start or are simply new to the birdwatching fun, reach out to the Society for the Protection of Prespa, which is based in Laimos, the biggest village, which organizes birdwatching tours. Located at the foot of Varnoundas mountain, the village of Kallithea offers one of the most stunning views of the lakes, as its name implies (kalli means nice, while thea means view). Simply follow the path that leads up to the mountain (ask for directions at the pharmacy), where you can enjoy fantastic panoramic vistas over the basin. Get ready, because with every step you take, you will be tempted to take a photo. 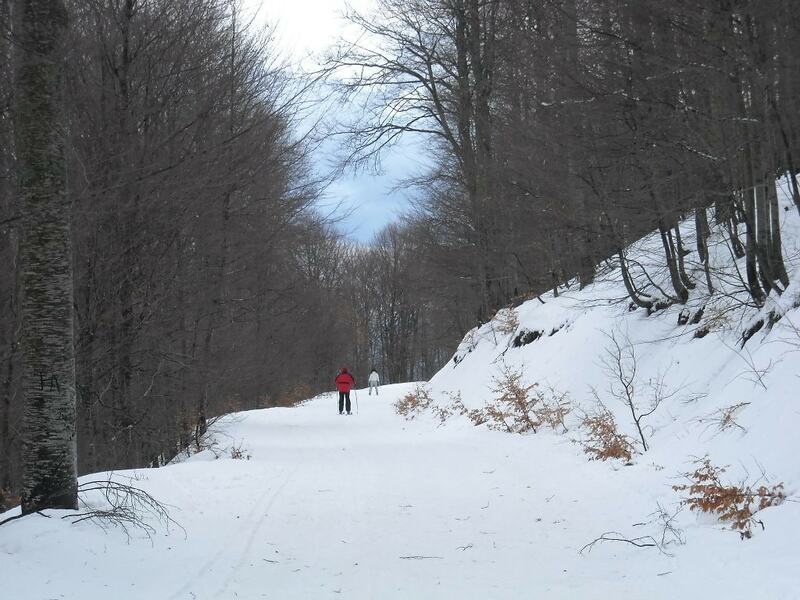 If you find yourself in Prespes during the winter, then you will be happy to know that the region is also home to a ski station on the confluence of Varnous and Verno mountain chains. As one of the oldest ski centers of the country, the Vigla Pissoderi Ski Center has modern facilities and boasts a total of 12 ski runs, where you can enjoy a great ski or snowboarding session. End the day with a warm beverage at one of the après-ski bars nearby. The Prespa region is also home to several abandoned villages, which gives the intrepid adventurer the perfect playground to explore. Venture out in the lesser-known corners and find ghost villages hidden in the mountains. The small village of Daseri, for example, can easily be reached from Pili and allows for panoramic views over the islands on the lake. 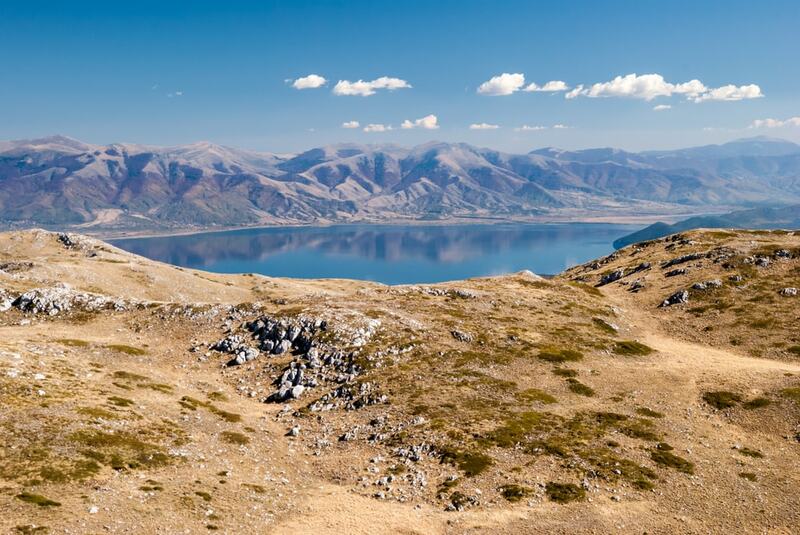 Prespa is crisscrossed by many hiking trails, allowing you to get more acquainted with its unspoiled beauty. With the help of the Danish Aage V. Jensen Charity Foundation, which operates all over the world through supporting research and nature projects, a network of marked trails and cycling routes has been established in the Prespa region. With a variety of duration and low difficulty, these trails will help you explore this underrated region which hardly appears in any tourist guide. Though many consider Prespa to be a fall and winter destination, it is, in fact, a great all-year round region, with many fun cultural happenings. One of the most important events in the region and even in the Balkans is actually the Prespa Lake Festival, held in the last weeks of August, which features many events happening across the area, including concerts. This is a great reason to visit the region in the summer and discover everything it has to offer, including swimming in the lake.